Are you a start-up business and need help with branding? DLM Marketing has put together a very basic package for start-up businesses. This package can be modified to suit your particular needs if you would like a detailed quote then please contact us. *Payment can be made in stages plus there in no upfront payment required to start . It does not matter if you are a start-up business or a well-known established corporation you should not attempt branding without the assistance of a professional marketing company. DLM Marketing can provide you with professional marketing and branding strategies. DLM Marketing can help you set your business apart from the competition. Establish a clear image in your customer’s minds that will make them remember your company. Basically your goal should be to own a position in the customer’s mind so they think of you differently than the competition. You have possibly already learnt about the market you’re entering. 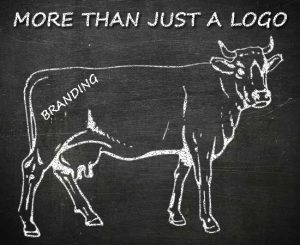 When it comes to branding you need to think about the actual customers who’ll walk through your door. Who is this individual, and what is the one thing that person ultimately wants from your company? After all, the customer is buying from you for a reason. What do your customer demand from you? How can you display to customers every day what you’re all about? Many companies large and small stumble when it comes to incorporating employees into their branding strategies. But to the customer making a purchase, your employee is the company. Your employees can make or break your entire brand, so don’t ever forget them. Please don’t hesitate to contact the team at DLM Marketing if you would like to know more about our professional marketing services.